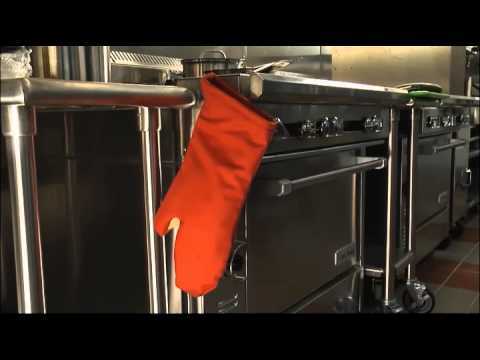 Home / Kitchen Supplies / Textiles / Pot Holders and Oven Mitts / San Jamar KT0218 Cool Touch Flame Mitt, 18"
Exceptional flame protection makes the San Jamar KT0218 Cool Touch Flame Mitt great for any open flame and high heat environment. Mitt provides heat protection up to 535°F (280°C) for up to 30 seconds with intermittent flame protection up to 900°F (482°C). This steam protected mitt features an integrated magnet and loop storage. Made with flame-retardant Nomex and Kevlar with Kevla WebGuard providing extra heat protection and durability between the thumb and forefinger. Mitt is ambidextrous and machine washable. Measures at 18 inches long.